After some mad anticipation and anxious wait the Nokia Lumia 900 has finally been unveiled. Its predecessor, the Lumia 800 has bought Nokia back from the dead and set the charts on fire. The handset will debut exclusively on AT&T networks in the U.S. So what can the Lumia 900 offer to top the Lumia 800? Let’s have a look. The Nokia Lumia 900 will be equipped with a gargantuan 4.3-inch 480 x 800p AMOLED ClearBlack display. It will also be equipped with 4G LTE connectivity to support high-data speeds. It will run on Windows 7.5 – Mango OS. The Nokia Lumia will come with an 8-mgapixel camera with a 28mm lens and 2.2 f Carl Zeiss aperture. Along with that, it will have a 1-megapixel front-facing camera for video chatting. A powerful 1830 mAh battery will support the handset. “The introduction of the Nokia Lumia 900 with AT&T is another significant milestone in the ongoing rollout of Nokia’s global smartphone strategy, The Nokia Lumia 900 is designed specifically with the US in mind and the announcement of this collaboration with AT&T, in addition to other recent announcements, signifies a new dawn for Nokia in the US.” Chris Weber, the president of Nokia Americas was quoted as saying. 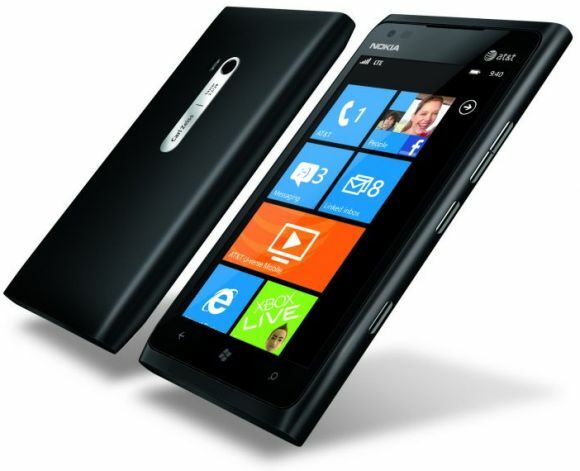 While it is empowered with impressive specs, the Nokia Lumia 900 leaves a lot to be desired when it comes to the hardware, as it will run on 1.4 GHz single core processor and 512 MB RAM. It will offer 16 GB on-board storage along with additional cloud storage. Since the handset will be endowed with a full polycarbonte form factor, it will not have any MicroSD support, which is also a letdown. All in all, the Lumia 900 seems a good phone but it is hardly enough to get us excited.